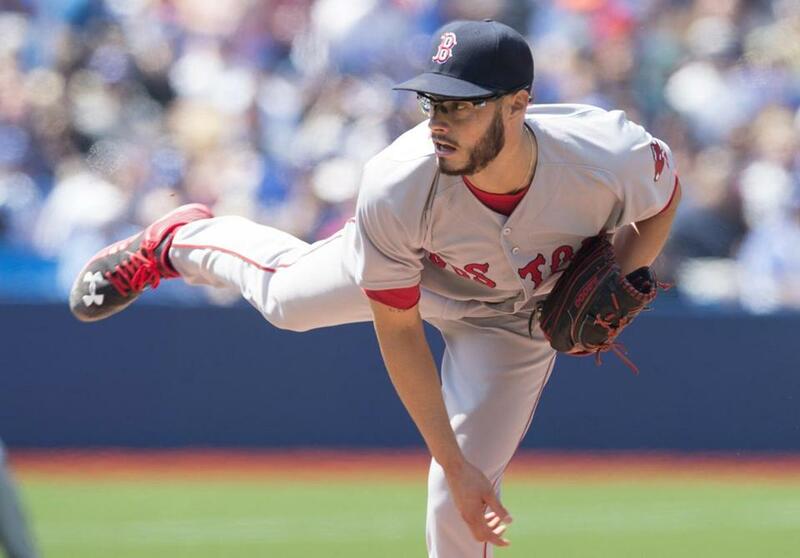 Joe Kelly has given the Sox only 21 1/3 innings in his last four starts and allowed 21 earned runs. TORONTO — Red Sox manager John Farrell spoke very carefully on Sunday when asked if any changes were planned for the rotation. That’s a change from what had been unambiguous faith in the five starters. But the struggles of Joe Kelly (1-2, 6.35 earned run average), Wade Miley (1-4, 6.91), and Justin Masterson (2-1, 5.18) leave Farrell little choice but to consider changes. Kelly has given the Sox only 21⅓ innings in his last four starts and allowed 21 earned runs. His high-powered stuff could prove to be a better fit in the bullpen. For now, he’s scheduled to make his next start. Clay Buchholz got his first win since Opening Day as the Red Sox wrapped up a series in Toronto. New pitching coach Carl Willis started Sunday and the team wants to get his opinion on the group. Willis joined the team on Sunday after a busy few days. The former pitching coach at Triple A Columbus had a day game on Thursday and heard from the Indians that afternoon that the Sox had requested permission to speak to him. By Saturday afternoon he was flying to Toronto. Willis said he was appreciative of the Indians for allowing him to leave. Willis worked with Masterson and Craig Breslow during his time as Cleveland’s major league pitching coach. He’s working on getting familiar with the other pitchers. The Red Sox optioned outfielder/first baseman Allen Craig and lefthander reliever Robbie Ross Jr. to Triple A Pawtucket. Outfielder Jackie Bradley Jr. and righthander Steven Wright were recalled. Another change is coming Monday when the Sox activate outfielder Shane Victorino off the disabled list. Bradley hit .343 with an .857 OPS in 24 games for Pawtucket. Farrell sees Bradley starting against righthanded pitchers with Victorino against lefthanders. Bradley started on Sunday and was 0 for 4. Controlling Victorino’s playing time could aid in keeping him healthy. He is on the disabled list with a right hamstring strain and had back surgery in August. Victorino was 5 for 35 in 12 games before the injury then 0 for 6 in two games with Double A Portland. The Sox have been consistent since spring training that they want to give Victorino a chance to prove he can still contribute. Wright, who was working as a starter with Pawtucket, will be a long reliever. Through Saturday, the Sox bullpen had thrown 105⅔ innings. Only Tampa Bay and Texas had more. “Felt there was a need that existed,” Farrell said of calling up Wright. Ross had a 6.17 ERA and 1.71 WHIP in 13 appearances. The Sox have lefthanders Breslow and Tommy Layne available and that made Ross expendable. Bradley was a Gold Glove finalist last season and Farrell has said he’s the best defensive center fielder in the game, but he started in right field on Sunday and Mookie Betts stayed in center. That’s how the Red Sox intend to stay, too, unless Betts is out of the lineup. Craig was 7 of 52 with one extra-base hit and two RBIs for the Sox this season. He has hit only .130 with a .427 OPS since being acquired from the Cardinals last season. Craig hit .312 with an .862 OPS for the Cardinals from 2011-13. He drove in 229 runs in 328 games. Craig received MVP votes in 2012 and ’13 and was an All-Star in 2013. He has not been the same since tearing a ligament in his left foot near the end of the ’13 season. Assistant general manager Mike Hazen, who was with the team at the Rogers Centre, said Craig understood the move and handled it professionally. “Not an easy decision,” Farrell said. 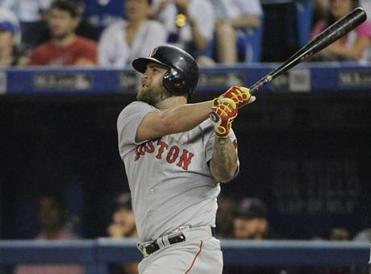 The Sox hope that regular playing time will get Craig back on track. “Not only for his own production but maybe getting him back in a situation where he can come back here and help us,” Farrell said. Rusney Castillo, the $10.5 million Triple A player, will remain in Pawtucket for now. Farrell said he’s available but the Sox want him to continue to build up after missing three weeks with a shoulder injury. The Red Sox open a three-game series at Oakland on Monday night. They are 5-15 at Oakland Coliseum since 2010 . . . Junichi Tazawa, who had an 8.80 ERA against Toronto since 2013, threw 1⅔ scoreless innings . . . Betts has hit safely in eight straight games at 10 of 33 with eight extra-base hits . . . Daniel Nava, who has one hit in his last 30 at-bats, will be considered for duties at first base against “certain righthanders,” according to Farrell . . . Brock Holt, who missed two games because of a family matter, returned to the team.